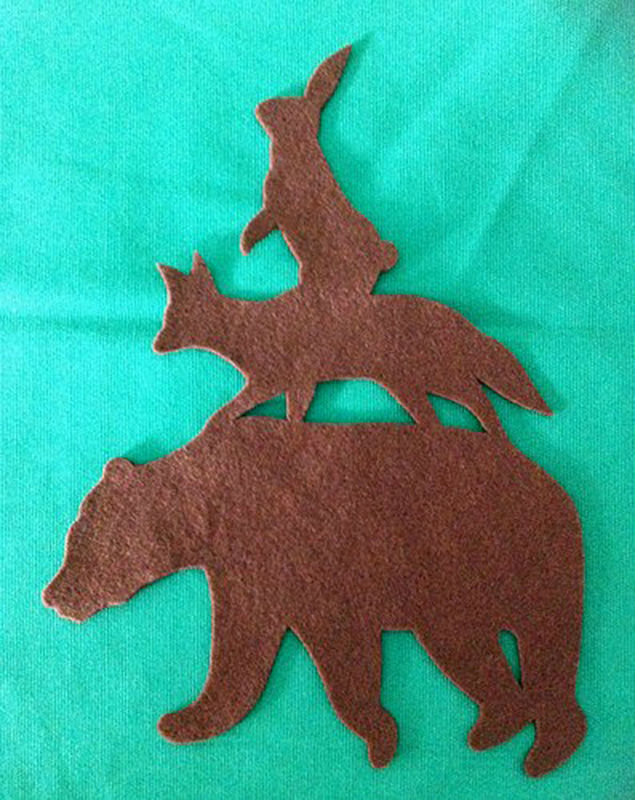 It is a woodland animals party : ) Stacking bear, fox and bunny makes this cute and one-of-a-kind wall art. 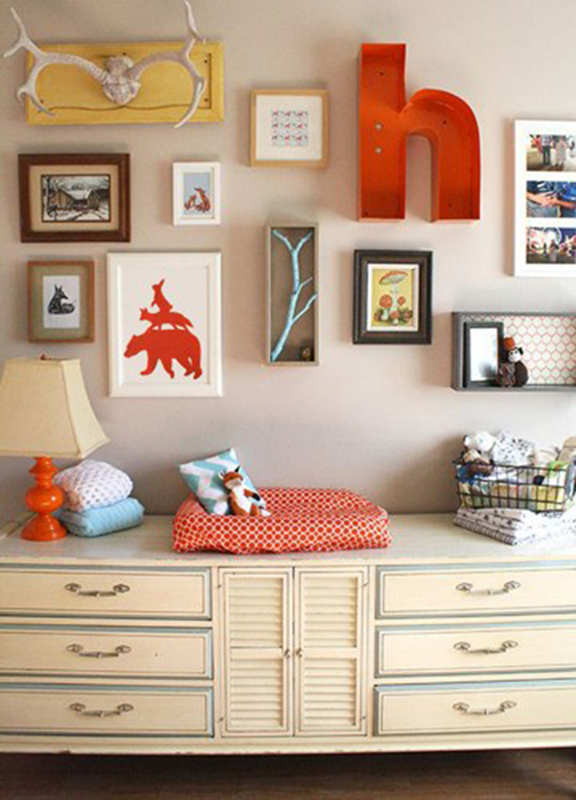 Perfect for the nursery, children's room and great as baby shower gift too! NOT framed! 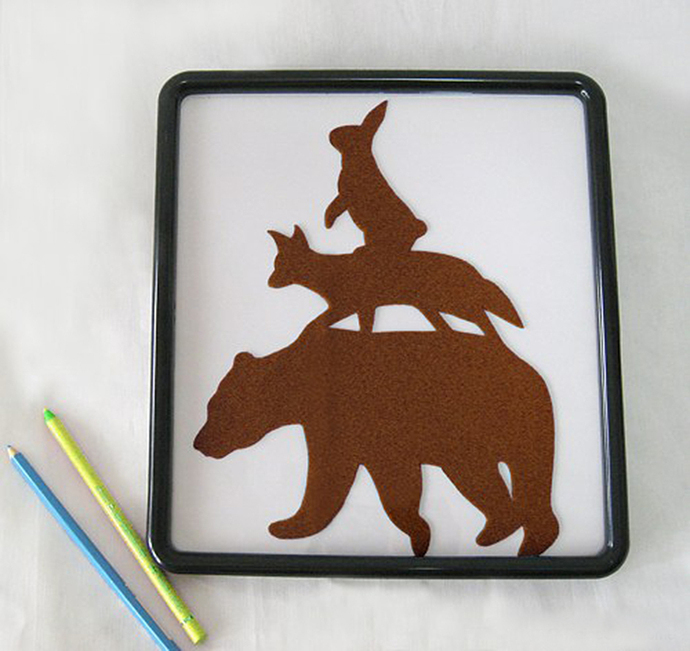 You will get a 100% hand-cut felt art of this 'Stacking Animals' without frame. **It measures about 8inch X 10.5inch (Width X Length). NO frame. 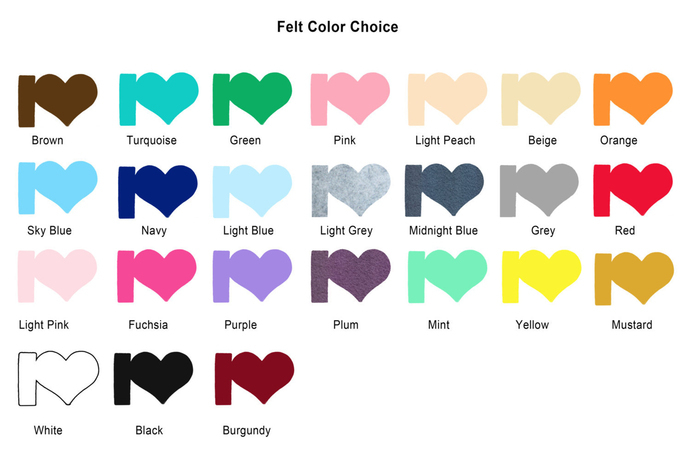 **A lot of colors for you to choose : ) Please refer to the LAST photo.